Whether it is for a weeklong vacation or just a weekend getaway, every vacationer will find plenty of Northern California activities to enjoy. Northern California is famous for its beautiful valleys, mostly laden with wineries. The county of Napa is the home of the Napa Valley world-famous wine region. And it’s not only the neat rows of vineyards on the rolling hills and valleys, or not only the adult activities such as wine tasting that tourists would want to see and enjoy. Northern California activities are not only for single adults and for couples, but families as well. Aside from the valleys, Northern California has lots of other natural wonders that tourists will be able to see and enjoy. You will be amazed at our “Old Faithful Geyser” (or Little Old Faithful) in one of Napa County’s cities Calistoga, which was “unearthed” by accident during drilling of a well in the 19th century. Its eruption varies, usually going shooting from 30-80 feet of hot water into the air. Calistoga is famous for its hot springs. One of the natural tourist destinations in Northern California is the Petrified Forest, located in Sonoma County. The only petrified forest in California from the Pliocene era, it contains massive petrified wood such as the famous “Giant.” Although privately owned, the forest is open to the public. This will be a great attraction especially to those who are fascinated with nature, geology, and such related fields. Of course, traveling wouldn’t be complete without shopping! For the most luscious and delectable gourmet delights, you will want to visit the famous Oxbow Public Market in downtown Napa. You will find so much there — from organic produce, artisan coffee, handcrafted breads and chocolates, as well as delicious, incredible and diverse cuisine. And of course, the market wouldn’t be complete without Napa’s world-famous wines! The artisans and food vendors at the Oxbow Public Market give their all-out support to local sustainable farming, therefore promoting healthy eating and a healthy environment, as well as economic integrity within the community in Napa. No wonder Oxbow Public Market is the place for serious foodies! Many tourists dream of going on a hot air balloon ride — to experience flying, being up away from the ground and the crowds, floating gently in the sky, and viewing the splendid views over the Napa Valley in the morning. Neat rows of vineyards, lush green hills and valleys, all picture-perfect scenery that defy any description! But some feel it is out-of-reach because they think that only the wealthy could afford a hot air balloon flight. Fortunately, Balloons Above the Valley (BATV) will make you realize your dreams of reaching the sky through our amazing hot air balloon flights and wine tour packages! If you want just the sunrise hot air balloon flights over the Napa Valley, our Sunrise Balloon Flight and Brunch is available. It also includes a fresh and hot delicious breakfast before going to the hot air balloon site. 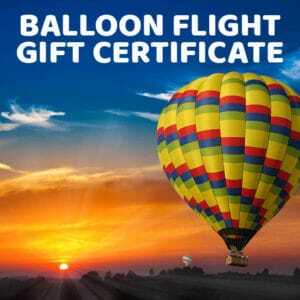 However, if you want more than hot air balloon flights, BATV also has packages which also include wine tours, limo bus transportation from downtown San Francisco to the wine country (with onboard breakfast + mimosa), picnic lunch at the winery, optional shopping and sightseeing, and ferry transportation back to San Francisco. Our pilots are incredibly experienced and well-versed, and because at BATV we believe that safety is our top priority for our own crew and clients, you know you’re in good hands with us. And most of all, our rates are affordable! BATV allows you to experience your dream in total luxury without burning a hole in your pocket! 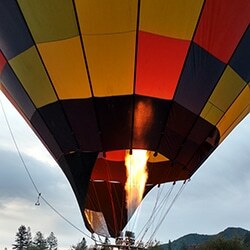 You can check out our sunrise hot air balloon and wine tour packages, as well as their corresponding rates at http://balloonrides.wpengine.com/tour-options-pricing-reservations/. There are lots of Northern California activities that tourists will surely enjoy and remember: going to interesting, beautiful and exciting places, dining out, shopping, and riding a hot air balloon ride over the gorgeous Napa Valley during sunrise.